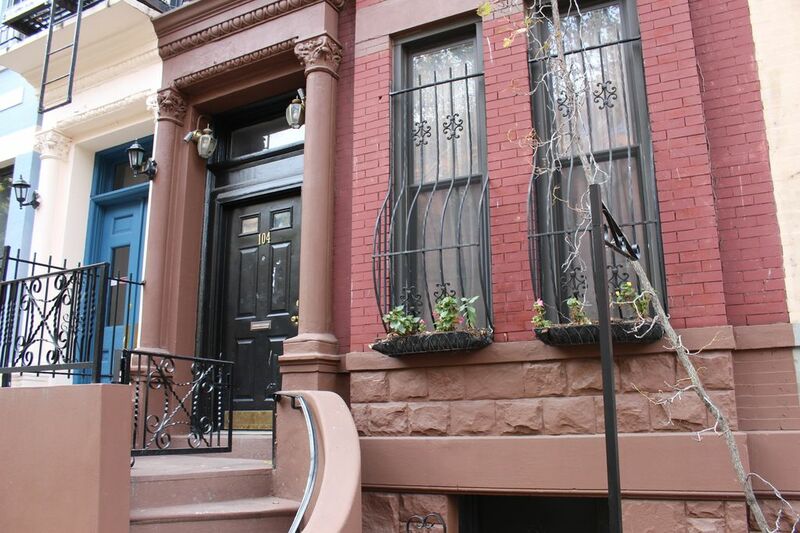 Charming 1880s 2,700 sq foot townhome on Upper East Side of Manhattan with 4 bedrooms and 4 baths available for your family or group vacation. Backyard, roof deck, gourmet kitchen, tin cielings, wide plank wood floors, sleeping up to 10 PEOPLE within 2.5 blocks of Central Park and a mile of Metropolitan Musuem and most major museums. Close to many great restaurants and 20 mins to Lincoln Center! Come enjoy NY at its best without the downside of limited space! This is our well cared for family home. We are working out of California for a while and are looking for a family or group of good friends to enjoy the Big Apple and our space as we do (No parties or large, loud groups allowed.) You will need to hand it back broom clean. This is also our neighborhood of many years. Our family lives next door and we know all of the neighbors, all of whom are friendly. You will be left alone to enjoy New York but with many people around to provide tips or advice if needed. The house is entirely at your disposal except for a secondary kitchen and some basement areas. Spacious and lots of charm. We needed a large place for 6 adults and a toddler and this more than fit the bill. The hosts were amazing and the location was perfect. Plenty of local eating options close by, 5 block walk to the 6 subway to go downtown, and walking distance to Central Park. This is the place to stay for your New York vacation. Thanks Ben! Wonderful host to a wonderful home! This very old home was just fantastic! We stayed there for 4 nights and we all loved it. There was plenty of room for 8 of us, including two small children. The bedrooms were spacious, 4 nice bathrooms, a huge living room with plenty of seating and a well appointed kitchen. It was slightly further away from Times Square, Brooklyn, etc. that we might have thought, but the subways system got us to where we needed to be. The neighborhood felt very safe, even late at night. And out host, Ben, was very, very accommodating and flexible! He was the BEST! We would definitely stay there again the next time we travel to NYC! So glad you enjoyed your stay. We'd love to have you come back also. Quirky and interesting old brownstone. Plenty of space for a group to sleep. We were greeted by the owner’s brother, Ben. Really nice and attentive. We enjoyed walking through the neighborhood. Lots of little bodegas and cafes within walking distance. Will stay there again if we come back with a large group of travelers. This brownstone was ideal for our trip with our young grand daughters. The five cousins took over the whole third floor, which became their "castle" for the several days we were visiting NYC. They were enchanted. The subway was within a few minutes walking distance, only don't make the mistake we did on getting off at one stop that meant we had to walk uphill (dragging our luggage) to the house rather than slightly downhill, which would have been the case if we had gotten off one station sooner. Our host was graciously accommodating and attentive. We had occasion to call upon him for some advice at one time, and he got right back with us. Lots of good ethnic restaurants in the area and we would call in our orders and had just steps to go to pick up our food which we enjoyed sitting around the dining room table. There is no television in the living room but that worked just fine with us because our grand daughters read instead and we had interesting conversations with them. Not much else to say. We read the reviews, found them helpful & accurate! Lovely home! The house was clean and comfortable. Ben, the owners brother was very helpful and kind. We felt safe and all the neighbors we passed on the street the house is located were courteous and friendly. If you like cooking it has a great stove and if you plan to eat out there are plenty of restaurants. There were a few things though: the coffee maker does not work, and there was a strong smell of insect spray in the dining area. It would have been great to have a TV in the living area so we could see tv as a family. Sleeps up to 10! Bring three generations of your extended family and explore NYC together! 50 percent deposit is non-refundable. 50 percent refund for cancellations prior to 30 days in advance of check-in. Full amount due thereafter. No exceptions. You are highly encouraged to buy the trip cancellation insurance so that you are covered in case of emergencies. Property delivered fully clean and must be returned in broom-clean condition. If you want maid/cleaning service during your stay, we can arrange additional cleaning services during your stay for a fee. Contact owner. Pet fee is For one dog or 2 cats. For additional pets, contact owner.